Bison football recruit Noah Dornn with Bison football head coach Brian Dobie. Supplied. Noah Dornn may not be replacing Matt Damon in an upcoming Bourne film, but he will be hoping to catch touchdowns in a Bison uniform. Dornn, a six-foot-four, 185-pound receiver, comes to the University of Manitoba from the back-to-back Winnipeg High School Football League John Potter AAA Division Champions the St. Paul’s Crusaders. 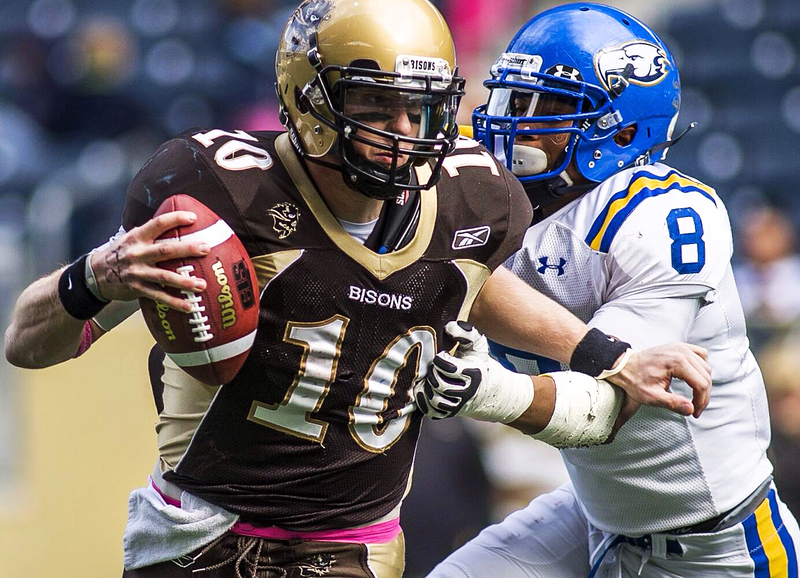 Last season, Dornn caught 13 balls for 189 yards and two touchdowns – including a touchdown in St. Paul’s 35-0 beatdown of the Dakota Lancers in the final at Investors Group Field, the same field he will take to this fall with Manitoba. Dornn said some of the reasons he came to Manitoba were the facilities at IGF, the close proximity to the Winnipeg Blue Bombers, and being able to play at home. 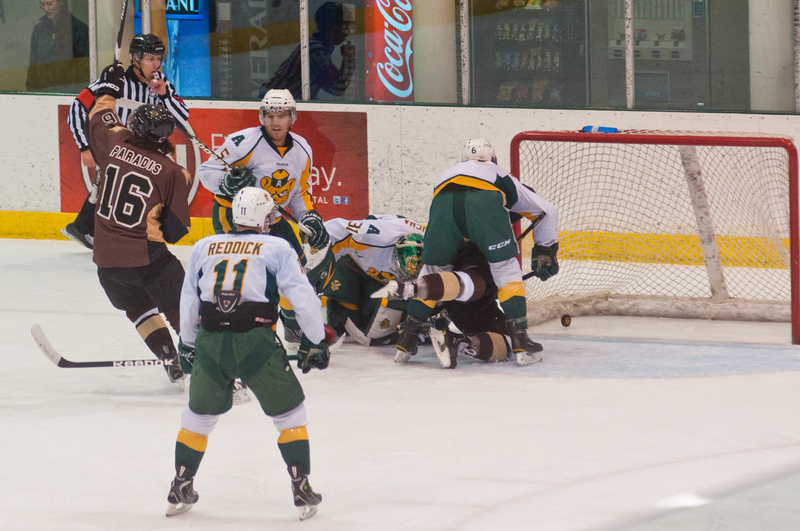 Dornn also said Bison head coach Brian Dobie was another reason to join the herd. Dornn’s half-brother – Justus Alleyn – a graduating guard on the Bison men’s basketball team had some influence on Dornn. Dornn does not restrict himself to playing just football. During the off season he plays basketball at St. Paul’s, although Alleyn has the upper hand in that department when they go one-on-one. “I don’t usually come out on the winning side of that one,” Dornn said with a laugh. One department Dornn has Alleyn beat is on the football field, and Dornn’s success as a wide receiver came towards the end of his high school career. “I’ve been a quarterback my entire life and then last year I was in a situation where I was in Grade 11 and the guy ahead of me was really good so they stuck me at receiver,” Dornn said. Dornn said his experience at quarterback helps him understand the routes better as a receiver. 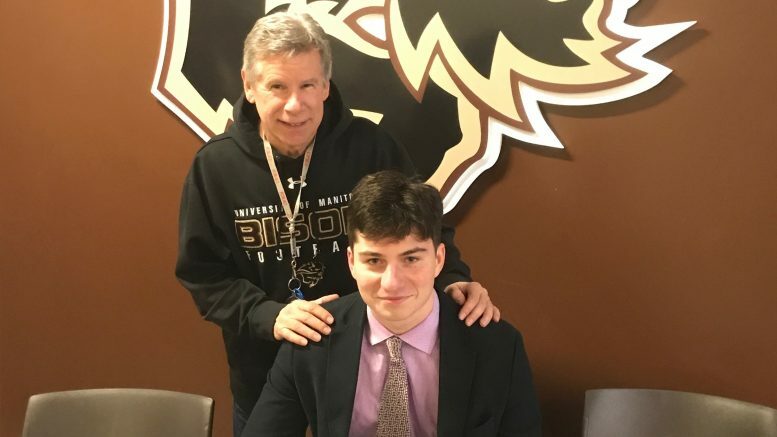 Dornn will hope to continue to develop as a receiver with a Bison team hoping to rebound after two straight years outside the playoff picture. 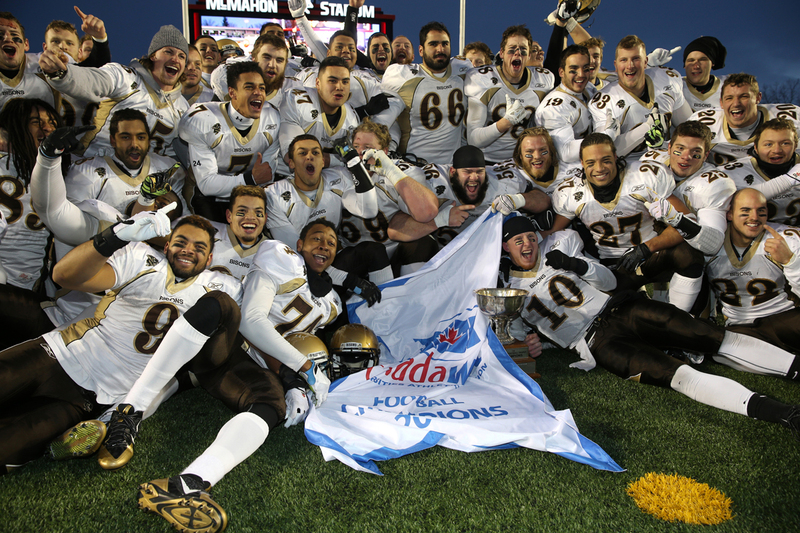 Winning the ultimate prize in Canadian university sports, the Vanier Cup, in a Bison uniform would mean a lot to the homegrown Dornn. “Bringing [a Vanier] back to your hometown, playing for the city that you grew up in is definitely a dream and makes it feel that much better,” he said.